Cheap Campervan Hire Cairns to Sydney - we beat all prices! Cheap campervan hire Cairns to Sydney Now Available! Here at Travelwheels we have especially Cheap Campervan Hire Cairns to Sydney deals! Therefore call our team here in Cairns on 0412766616 and we guarantee not to be beaten on Cairns to Sydney Campervan hire! If you already have a quote from any competitor we especially want you to call us! Therefore all you have to is email the competitor quote to us! We will give you a cheaper price and subsequently means more money in your pocket! 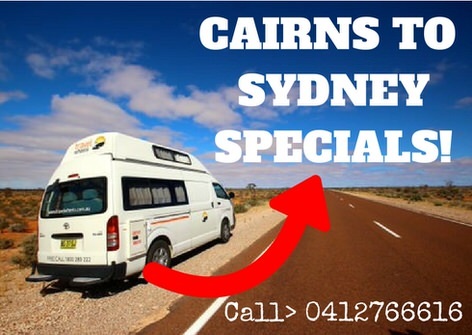 Cheap campervan hire Cairns to Sydney specials now! For example right now at this very moment Travelwheels Campervans especially needs to move campervans out of Cairns! Therefore we have some great deals on cheap campervan hire Cairns to Sydney! The Cairns Branch needs to move campers out of town, and therefore you can get a bargain deal on one way campervan hire! Just call our team here in Cairns on 0412766616 in English or deutsch! When is the best time for Cheap Campervan Hire Cairns to Sydney deals? Here is a useful guide to read on our blog about cheap deals. It gives you tips such as, when is the cheapest time of year to hire a campervan in Australia? Therefore check out our facebook customer reviews about our great last minute deals. We especially want to hear from you if you want a one way campervan hire from Cairns to Sydney! Cheap Campervan Hire Cairns to Sydney with no one way fees! 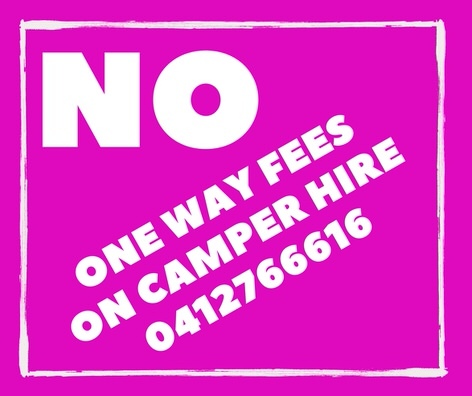 As we need to move campers out of Cairns, we are not charging any one way fees! For example, one way fees can range from $200 to $400 out of Cairns! Therefore this is another big saving for you guys! Enter your dates below in our price checker to see how low are prices are! It’s really easy to book these cheap campervan hire Cairns to Sydney Specials! Simply call Travelwheels on 0412 766 616 and our team will especially look after you! Email us for last minute specials here = Cairns to Sydney Camper Deals – contact us! Travelwheels have especially written a number of free guides for campervan roadtrips that are helpful. Here is our free guide for Cairns to Sydney route planner. Email or contact us to get a PDF downloadable version! It is full of helpful tips, places to visit and other cool stuff to do. Read our free camping on east coast of Australia guide to save money first! Spend days diving or cruising on the Great Barrier Reef. Cairns is the adventure capital of Australia and the gateway to the incredible Great Barrier Reef! Top 10 activities to do in cairns – staff and customer reviews and favourite places. Explore the world heritage listed Daintree National Park. If money is tight, then checkout our customer reviews of free things to do in Cairns. Go for a scenic train ride from Cairns to Kuranda Nature Reserve. Explore Port Douglas and the rainforests. Go on a 4wd adventure to Cape Tribulation – a fantastic experience. Guide to campervan hire road trips to Northern Queensland. Here are a few more useful links about travelling or explore the Cairns region.This one is from WikiTravel and give you come good background information about Cairns. Australia.com is another useful place to find information about planning a trip to Cairns. Simply fill in your travel dates below and receive an instant quote! 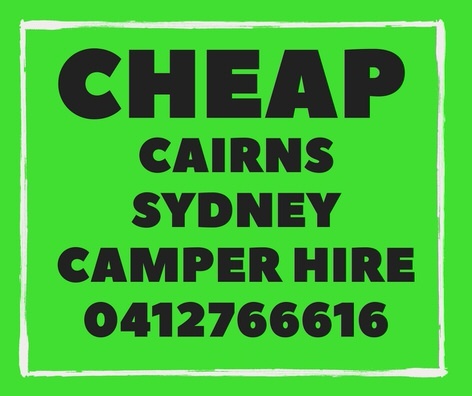 We have especially cheap campervan hire Cairns to Sydney prices! Remember we will beat all our competitor quotes for cairns to Sydney bookings! Therefore, if you can find a cheaper deal than this, please call us on 0412766616! As long as we have stock in Cairns we will beat all competitor quotes back to Sydney!